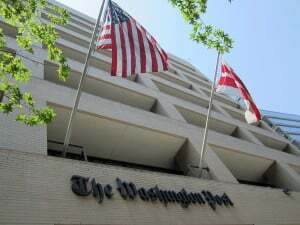 The Washington Post presents a shockingly imaginary Syria, in which the U.S. Government has been the friend of the Syrian people by trying to eliminate in Syria simultaneously the jihadists and the Syrian Government that’s been fighting against the jihadists, and in which the Syrian war has not been between the Syrian Government and those tens of thousands of jihadists, many of whom have actually been armed by the U.S. Government and financed by the American Government’s allies, especially by the Saudi Government, and brought into Syria through America’s allies, first Turkey, and then more recently Jordan, and the jihadists tended medically by yet another U.S. ally, Israel. Obviously, the U.S. Government supports jihadists when doing so serves its higher goal, of overthrowing Syria’s President, Bashar al-Assad. But this fact is unmentionable in the ‘authoritative’ media. The reality hidden by the Western press is that, according to Western-sponsored polls of Syrians, 82% of Syrians blame the U.S. for the plague of ISIS in their country, and well over 50% want Bashar al-Assad to continue as Syria’s President. Such extreme reality-denial in the Washington Post is ordinary for the U.S. newsmedia; but, nonetheless, as in this particular case, it reaches occasionally absurd proportions, which the entire world would instantly recognize as being the propaganda-media of a dictatorship, if only the entire world knew about it (rather than its being hidden from the public by and within all of the aristocracies that are allied with the U.S. aristocracy). To mention that the Emperor has no clothes would be a capital offense. Both the Rick Sterling article, and the Vanessa Beeley series of articles, are recommended reading, for anyone who trusts the Washington Post and other U.S.-or-allied newsmedia, to report to them what is happening in the world and why it’s happening, and who is actually behind it, and for what reasons. Recommended, that is, in order to disprove the validity of that trust. But, of course, the U.S. regime itself knows the truth about this mater, as I had reported, on 4 August 2016, at Strategic Culture, headlining, “U.S. State Department Refused Entry to Jihadist It Employed for Overthrowing President Al-Assad”. The head of the White Helmets had been barred entry into the U.S. back in April, because the U.S. Government knew that the head of the White Helmets — which group also calls itself “Syria Civil Defense” in order to give itself an official, legitimate, and even government-sounding name — the Government knew that he was a jihadist, a “terrorist,” and President Obama simply wanted to avoid a possible terrorist incident on U.S. soil. The event — this man’s landing at Dulles International Airport only to be barred entry by the U.S. Government there — had occurred on April 20th of 2016, and here’s the way that the U.S. propaganda-media had dealt with the event, at that time: “A man who has helped save more than 40,000 lives in Syria was just denied entry into the US”. That report made his having been barred entry seem like it had been simply an error by unidentified U.S. Customs official(s) at the airport. That report was, basically, a lie. And the report that appeared in the New York Times about the event pretended that the man who had been denied a visa was leading a Syrian charity, and gave no indication whatsoever that he was on Al Qaeda’s side, helping their war to overthrow Syria’s Government. This was presented as a nonpartisan charity: “It was a stance of the unity of humanity.” It was ‘nonpartisan’ like Al Qaeda itself is. Turbeville then presented the interview with the boy’s father, telling the man’s outrage during the actual event, while the jihadists were staging and filming this propaganda-video, which had been broadcast to Western audiences uncritically as ‘news’. Until the Syrian Government rescued the residents of that area from Al Qaeda, in the liberation of eastern Aleppo, neither the boy nor his family were allowed to speak to the press. Back again to the Washington Post’s October 7th “Civilian casualties spiral in Syria as air raids target areas marked for cease-fire”, that article’s attempt vaguely to convey the false impression that the “hundreds of strikes since the end of a sixth round of peace talks among Russia, Iran and Turkey in mid-September” were a result of some kind of failure of the current Russia-Iran-Turkey “Astana” peace-process for Syria, which process had replaced the previous U.S.-Saudi peace process, which had ended when U.S. President Barack Obama sabotaged his own Secretary of State John Kerry’s signed 9 September 2016 peace-agreement with Russia’s Foreign Minister Sergey Lavrov, when the U.S. unprovokedly bombed the Syrian Army at Deir Ezzor in Syria on September 17th of last year, is simply false. Whereas the prior, U.S.-Saudi ‘peace’-process demanded the immediate ouster of President Assad, the current peace-process does not, and is, in fact, making steady progress, despite continued efforts by the U.S, Israel, and Saud, regimes (and their ‘news’media such as the Washington Post), to discredit this peace-process, and so to help to make it fail. On 1 March 2017, the BBC bannered “Lies, propaganda and fake news: A challenge for our age”, and presented a lengthy report on ‘fake news’ which itself constituted fake news, because it focused entirely upon non-mainstream ‘news’media as being the sole creators of ‘fake news’, and pretended as if media such as the BBC itself weren’t fake ‘news’media, perhaps even worse than some of the non-mainstream ones. That BBC report itself demonstrated — as propaganda for itself and for its friends (such as at the Washington Post, NYT, etc.) and against their desired victims, such as the Syrian people, who persist in wanting Bashar al-Assad to lead their nation — demonstrated that, despite all of the West’s lying, the similar deception of foreign publics wasn’t possible, and the deception of their own public was not sufficient. No ‘solution’ that the BBC’s article proposed urged that the system, which causes their ‘news’ to be distorted or even downright false, must be ended, but instead the proposals were all to distract the public, about what the problem itself is: For example, one solution “is an approach being attempted by a number of different groups around the world. Researchers at the University of Mississippi and Indiana University are both working on an automated fact-checking system.” But, when the aristocracy — who own, and whose corporations’ products and services are advertised in and thus fund, the ‘news’media — leave out of their ‘news’reports, the key facts that are essential in order to enable a true understanding to be conveyed of what’s happening and why; then, automating fact-checking (even if it can be done) ignores, instead of addresses, the real problem, which is institutional, and thus can’t possibly be solved merely by automation. In any case, “says Stephan Lewandowsky, a cognitive scientist at the University of Bristol in the UK, who studies the persistence and spread of misinformation, ‘Having a large number of people in a society who are misinformed and have their own set of facts is absolutely devastating and extremely difficult to cope with.’” But, why should people such as that, be consulted by a ‘news’medium as ‘experts’, on a matter such as this? They don’t know anything more about it than, say, Americans know about the Syrian war. No computer scientist, nor cognitive scientist, is an expert on, say, political corruption, and all the rest of the system that causes “misinformation” — that causes it to be very profitable, for ‘the right people’ — such as for the propagandists (including the executives, the decision-makers, at BBC). That kind of excuse for failure (failure in the efforts by U.S. and allied regimes, against the government of Syria and of other countries whose governments ours want to overthrow) which alleges that “We’re a democracy, and their government isn’t,” or that “Their news-media lie to their public about the war in their country, and ‘ours’ tell our public the truth about that war,” can be believed by the publics in the U.S. and in its allied regimes (and, so, we invaded and destroyed Iraq, Libya, Syria, etc., just as the regime intended), but it’s not necessarily going to be believed by the publics in the intended victim-countries — and it really shouldn’t be believed by anybody anywhere. But, the sad fact is that, many countries, which claim to be ‘democratic’, are not. The ‘news’media are an important part of that problem, because they’re the way that their public ‘know’ their own country. And — obviously — very few Americans have any realistic idea about ‘our’ Government. Realistically, it’s not really “ours” at all. The system deceives us, because the people who control it want it to — and they fire and demote any of their employees or other agents who refuse to cooperate and do their job, for which they’re being paid. Deceiving the public, in the intended ways, is part of their job. They’re being paid to do it. And, “an automated fact-checking system” or etc., won’t affect that, at all. And, to the extent that such a proposal is imposed, it will be designed to rely instead upon mainstream sources as defining what is ‘true’, and what is ‘fake’. Automated censorship would be the real goal. Truth, and the public, would be even more victimized by the system, if such automated censorship becomes imposed. For news-consumers, there is no short-cut. Buying a subscription to some mainstream ‘news’media won’t solve the problem, but will only cause to become less costly to the owners, their existing and very successful (at least domestically) system of deception and manipulation of the domestic public. Nothing should be trusted; everything should be at least spot-checked, many times, and right down to its ultimate sources. Are all of the root-sources reliable? Not every newsmedium is fake, even if all of the mainstream newsmedia now are. But no newsmedium should be trusted. Only if they’re all distrusted, can the few honest ones become even so much as recognized, and — only then — worthy of perhaps donating to, after some free trial period. Because, only in this way, can a person intelligently decide, on one’s own, which those few worthy newsmedia actually are (worthy of being subscribed to). And, as regards ‘free’ newsmedia, nothing is actually free. Every newsmedium has an agenda; but, only if at the very top of that agenda is total honesty and never deceiving about anything, can a newsmedium reasonably be relied upon, as being purely honest news and opinion, never anything else than that — never propaganda. After all: propaganda is produced and marketed so as to seem to be honest. Nothing should be trusted, unless one has long and carefully vetted it so as to have confirmed, in a strict and rigorous way, its thorough honesty. Because, in this world, to be trusting of ‘news’, or for a person not to know how to test the honesty of ‘news’, is to invite being deceived. There is no short-cut, to truth.